This was the only show that I attempted to do episodic reviews of in 2013 – though I saw the final two episodes late and did not get the opportunity to complete the season recaps – but ultimately Mad Men has shifted to a program that I enjoy watching, but do not think it will ever reach the standard it set in its first few years. Perhaps my lack of enthusiasm with the ending was because I was convinced that this year’s run of episodes was leading up to the death of Megan Draper – who seemed to be drowned out by sirens whenever she spoke – and was disappointed to be wrong (not because I wanted the character out of it, I just thought I had found some hidden clues). Nevertheless, the Bob Benson/Pete Campbell storyline was fantastic, Don Draper’s Hershey pitch was also brilliantly done and Mad Men remained one of the better written and acted shows on television, the only thing it falls down on is by comparison to its own first three seasons. 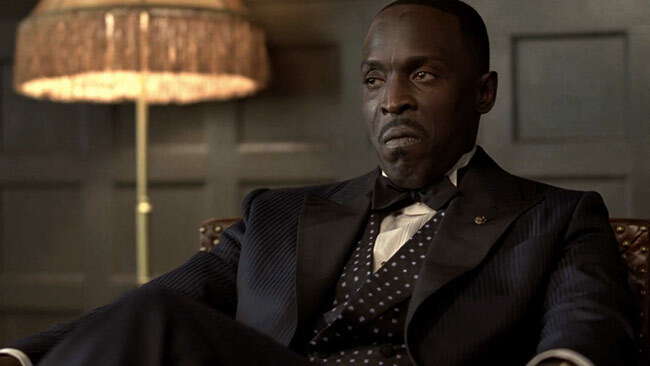 This season of Boardwalk Empire may have been my favorite of the show so far, but that may not reflect an improvement in the plot or writing, but instead my own bias in enjoying watching Michael K. Williams (who portrayed Omar Little in The Wire) play a more prominent role this year as Chalky White. His conflict with Valentin Narcisse was the best storyline of the fourth season, while everything involving Al Capone in Chicago was also compelling, especially with the addition of Domenick Lombardozzi (another Wire alum) as one of infamous gangster’s brothers. Some of the other parts of this year’s arc were less interesting – Ron Livingstone’s relationship with the ever-creepy Gillian Darmody was dull and the twist of him being a private detective who tricked her into confessing to murder was far from a surprise, but at least gives the hope that she might be out of the show by next season. One character who will be missed going forward is Richard Harrow, but his final scene – right at the end of the finale – was one of the most beautiful sequences on television in 2013. This was not my favorite season of Sons of Anarchy, starting with the school shooting at the start of the first episode that felt to be jammed in there to be controversial. While the event did become relevant to the overall plot arc of the show, it still felt like such a tragic event was being used as merely an inconvenience and a problem for the club to deal with, which was grating especially with the massacre at Newtown less than a year before. However, perhaps the whole point Kurt Sutter wanted to make is that Jax Teller and the other members of SAMCRO should not be considered sympathetic and their actions have tragic consequences for the people in their community and beyond. Regardless of the downgrading of the main protagonist’s likability – something that also happened with Tara, whose plot to get the kids away from the club resulted in her doing some pretty awful things as well – Sons of Anarchy remains a show that each week I am excited to watch and it is pure Pulp Fiction, not intended to be analyzed each week in the manner of Mad Men or Breaking Bad, but still entertainment and compelling viewing. Let’s be clear about one thing, it is ridiculous that Brody managed to not only get the Vice-President into a room alone in season 2 and then, in the latest batch of episodes, the head of the Iranian National Guard without any of the security detail staying as protection against a former US Marine. This was just one of the contrived aspects of the plot in Homeland this season but, as with Sons of Anarchy, it was still a weekly hour of television I looked forward to and it maintained my interest to the end, even exciting me about the direction the show would take next year with Brody no longer in the picture. Perhaps the most prescient thing that the Showtime drama this year was predict a thawing in the relationship between the United States and Iran, though Homeland used a clandestine CIA operation to move that along, when in fact the real power for change came through the ballot box. 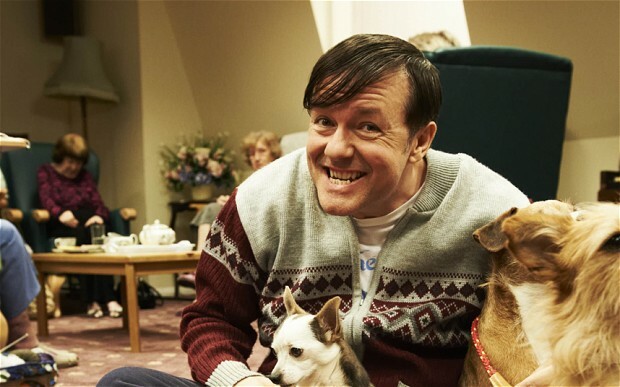 There is a very good case for making Derek my number one show of the year, not because it was the one that I enjoyed above all others – though as my review at the time covered, I did think very highly of it – but because it did something that nothing else I watched did: made me want to be a better person. There was one moment in the first installment that was completely heartbreakingly brilliant: Derek has just been told that one of the residents at the nursing home, Joan, has died and he wants to go in and say goodbye. As he goes to the door, he half-knocks but then realizes that Joan can no longer hear him and shrugs off his own action – it was just a small little moment, yet it encapsulated so much of the emotion and sadness that Derek was going through. He may have got famous as a comedian, but do not underestimate the brilliance of Ricky Gervais’s acting, especially under his own direction. Throughout the seven episodes, which were all made available on Netflix at the same time for us viewers in the USA, I cried and laughed, but mostly, I took the core message of the show to heart – Kindness is Magic. Kevin Spacey’s Shakespearean performance as Congressman Frances Underwood was the highlight of House of Cards, but the plot was also compelling and the show was very well written. My full review of the first season can be found here, but its lofty position in my top 10 reflects just how much I enjoyed it – my wife and I watched all thirteen episodes inside about ten days – and I am looking forward to seeing where the show heads now, with Underwood in a position to spin even more powerful webs. I was very dubious about Hannibal before I saw any of the show, as I was a fan of the original Thomas Harris books; the films Manhunter and Red Dragon; and could not imagine anybody else portraying Dr. Lecter as well as Anthony Hopkins. Alongside those concerns about this new adaptation, the fact that it was on a network channel – rather than HBO or even AMC – did not give me hope that it would be as dark and psychologically thrilling as the earlier adaptations of the source material. However, I was blown away by how well made the show was, the brilliance of Mads Mikkelsen as Lecter and Hugh Dancy as Will Graham; and, perhaps most importantly, how it did not feel as if Hannibal was just covering old ground, but instead brought a new angle of the cannibalistic serial killer’s life prior to being captured. The ending of the first season, which saw Graham behind bars as the suspected murderer himself, took the show in a direction that makes me as eager for its return (in February) as I am for anything else that is coming back in 2014. Unlike Hannibal, I went into FX’s new series The Americans with high expectations as, having studied Soviet and post-Soviet politics as part of my degree, it sounded like the type of show that would be exactly in my wheelhouse. Thankfully it managed to live up to those expectations and was my favorite new show of the year, as the story of undercover KGB operatives living in the suburbs of Washington D.C. in the early 1980s was gripping and exciting, even though we know how the Cold War ultimately ends. Elizabeth Jennings, played by Keri Russell, was the undoubted star of the first season of The Americans, but the rest of the cast were also strong, in particular: Noah Emmerich – Truman Burbank’s best friend – as Stan Beeman, the FBI agent next door; Annet Mahendru as Nina, who works for the rezidentura in the Soviet embassy, but is turned by Beeman; and Margo Martindale as Claudia, the KGB handler for the Jennings couple. What I enjoyed most about The Americans is that – like The Sopranos before it – the show manages to get you rooting for protagonists who you should be against, if they can maintain that into season two, it might be the best thing on television next year. Firstly, the only negative thing I can say about the show: I was underwhelmed by the final two episodes of the series and felt that everything was resolved in a disappointingly tidy way in comparison to the mayhem that had come before. However, that feeling only came about because of the high bar Breaking Bad had set for itself with the first six installments of the final-half season of the show. 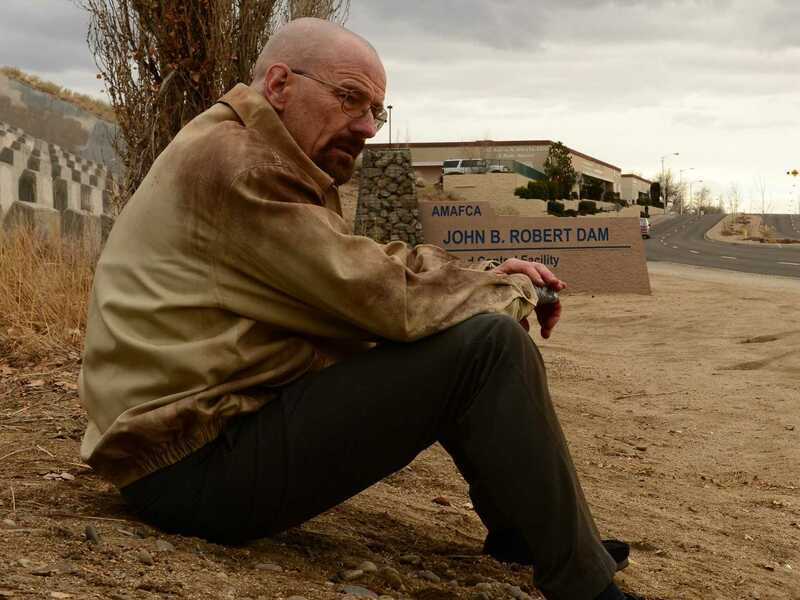 That run – starting with the opening episode of 2013 when we had the confrontation between Hank and Walter, something that had been expected to be saved until near the end – was as good a streak as any program has achieved and “Ozymandias” was 60 minutes of pure adrenaline fueled perfection. There was a lot at stake for Breaking Bad heading into these final eight episodes and the standard it reached ensured it is entrenched in the upper echelons of the all-time best TV shows (for me, it ranks second behind only The Wire) and Bryan Cranston’s portrayal of Walter White is runner-up only to the magnificence of James Gandolfini as Tony Soprano. What Breaking Bad did better than any other show was give the viewer the feeling that anything might happen and raised the stakes each week without pulling any punches, that was what made the last episode – which provided a comparatively happy ending (yes, even with Walt dying, his plan leading up to it worked perfectly and he earned some salvation by rescuing Jesse from the Nazis) – slightly disappointing when held up against the rest of the series. Regardless, not having new episodes of Breaking Bad to look forward to in 2014 makes television less exciting than it was this year and the last season as a whole ranks as the greatest final act that a show has ever done.